Following Cory Monteith’s tragic death in July from drug overdose, Glee writers Ryan Murphy and Brad Falchuck were faced with the monumental task of writing a tribute episode to the well-loved actor and his character, Finn Hudson. Aptly titled The Quarterback, the episode opens with the cast’s rendition of ‘Seasons of Love’ from Rent, a Broadway production which centres on death at a young age. This initially seemed a little cheesy but it worked fairly well as an opening number. In a voiceover by Finn’s stepbrother and glee club counterpart, we were told that the cause of Finn’s death was irrelevant in a tone that suggested that we shouldn’t even be asking: “Everyone wants to talk about how he died, but who cares?” Perhaps this was to prevent Finn’s death from descending into the mere role of a plot point but even so, anyone who has loyally watched the show for the past few years deserves to know how Finn died. One thing Glee got right this time was its exploration of individual grief. The scenes with Finn’s mother (Romy Rosemont) sorting through her son’s belongings are heartbreaking. This was the episode’s most poignant non-musical scene. Lea Michele’s cover of Make You Feel My Love, the first song she and Finn sang together in the car, is beautifully done and almost uncomfortable to watch. For the most part, the writers handled Finn’s death (and by extension, Monteith’s) well. However, Quarterback served more as a flawed tribute to the life, but not the death, of Cory Montieth and it is unlikely that Glee will survive much longer without its leading male character. Glee came singing and dancing onto our screens earlier this month for its fifth season. As it’s in its fifth season now, you’ve probably already decided if you like watching a bunch of “teenagers” sing and dance their way through their high school problems or not – so I’m not going to tell you why you should start watching, but why you should stick with it. 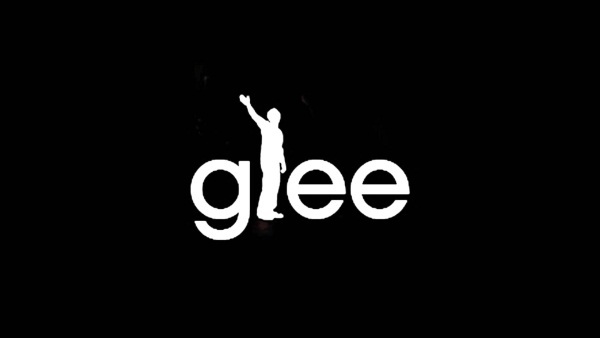 This season started with a two-week Beatles extravaganza and concluded, temporarily, with a tribute to Finn Hudson, aptly named “The Quarterback.” Unlike the other four seasons, this one has a black cloud looming over it, in the form of the tragic death of Cory Monteith. The show paid homage to him in the best way that they possibly could, by singing their way through a collection of appropriately emotional songs. It made for difficult viewing which is only testament to the acting abilities and vocal ranges of the stars who, despite their obvious devastation at the loss, managed to sing each part beautifully. The show embraced the fact that grief was not one simple action but came in many forms and in typical Glee fashion, helped the characters (or perhaps this time the cast themselves) to express their emotions. One box of Kleenex later and the episode had finished, and something special about Glee finished with it. But as Finn, or just as easily Cory Monteith, said “The show must go… all over the place… or something”. And that’s why I’ll be sticking with Glee, because despite the tragic loss of one of its brightest stars, the show will continue and it will be filled with singing and dancing and possibly happiness too, in the form of Kurt and Blaine’s upcoming nuptials. The show is now taking a break for three weeks to finish working on some new scenes without Monteith and will be back on air in the UK mid-November following its three week hiatus – and I’ll be glued to my screen when it does.